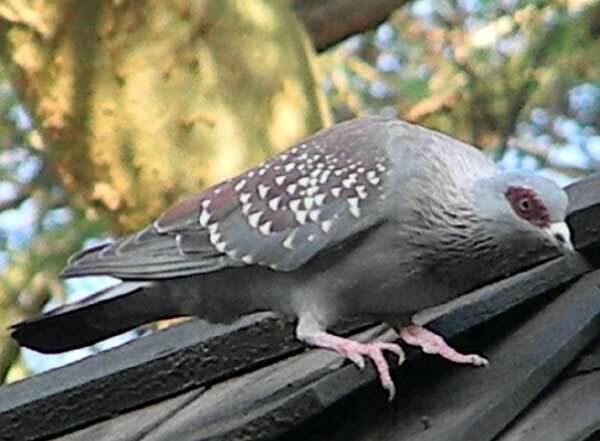 Slightly larger than the domestic pigeon. The dark gray mantle is speckled with white. The reddish patch around they eye is conspicuous. 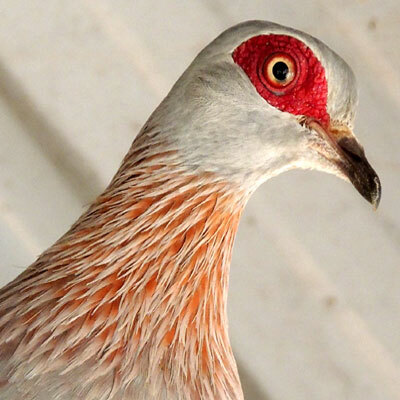 A collar of reddish streaks can be made more conspicuous during social displays. Common in open areas of Kenya and much of Africa.